TDA2030 + power transistors (TIP41, TIP42 or 2SC1061, 2SA761 or BD908, BD907 or BD911, BD912 or TIP31, TIP32) for an audio amplifier up to 40 Watts. Simple installation, no special settings requires and uses few components. The amplifier is based on the TDA2030 IC and two transistors that can be (TIP41, TIP42 or 2SC1061, 2SA761 or BD908, BD907 or BD911, BD912 or TIP31, TIP32), finally you can use several pairs of transistors! 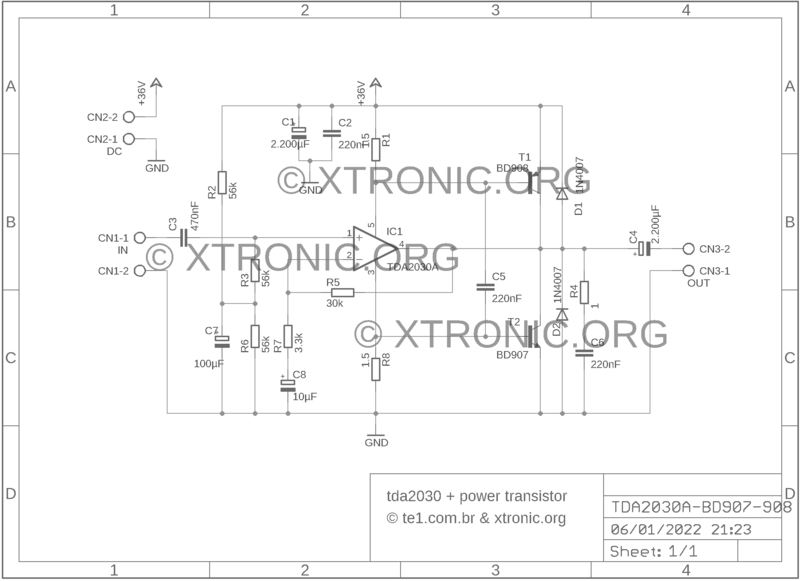 The circuit around the TDA2030 is traditional to about 14-20 watts using simple supplies! 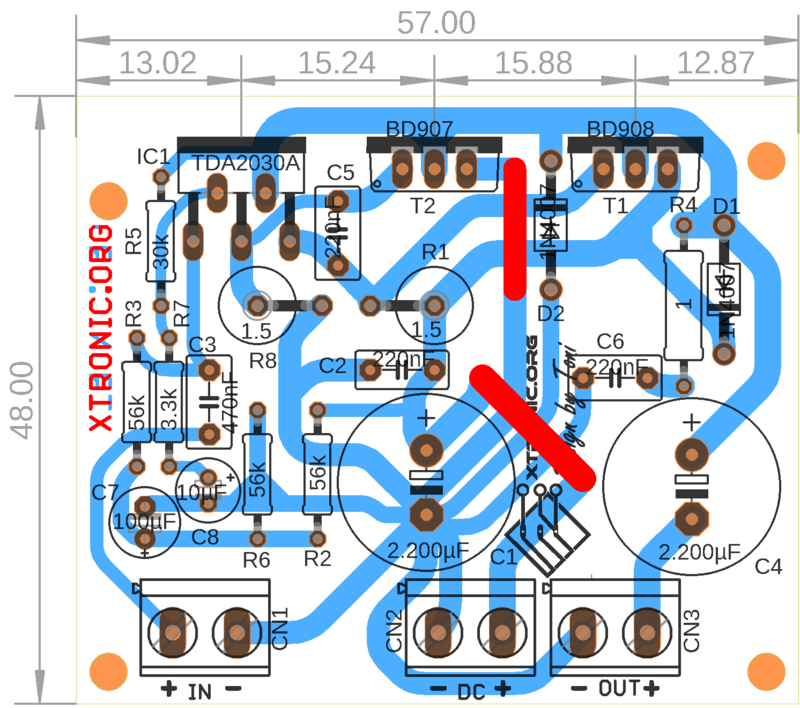 The audio output amplified by leaving the pin TDA2030 4, the transistors are active when a large flow of current through R1 and R8 pass transistors to drive and ensure high power output. Requires a power supply of 18 to 35V/1.5A simple. If you want a version 2 Stereo lot of these! 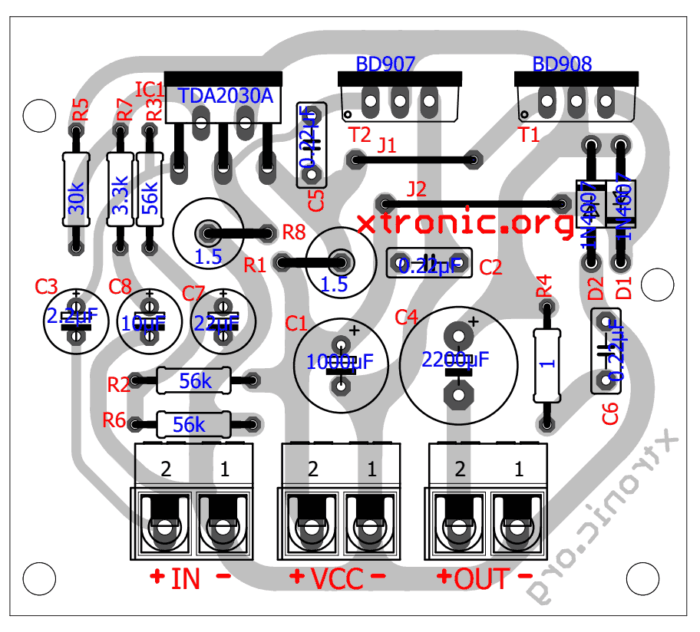 Download the PDF file for this assembly: Board component and copper side, silk , schematic, Datasheet UTC2030. Buy kits TDA2030 in Aliexpress with free Shipping in the Worldwide. Please be warned: If you use a single heatsink across the transistors and TDA2030A, the transistors MUST be isolated electrically from the heatsink. 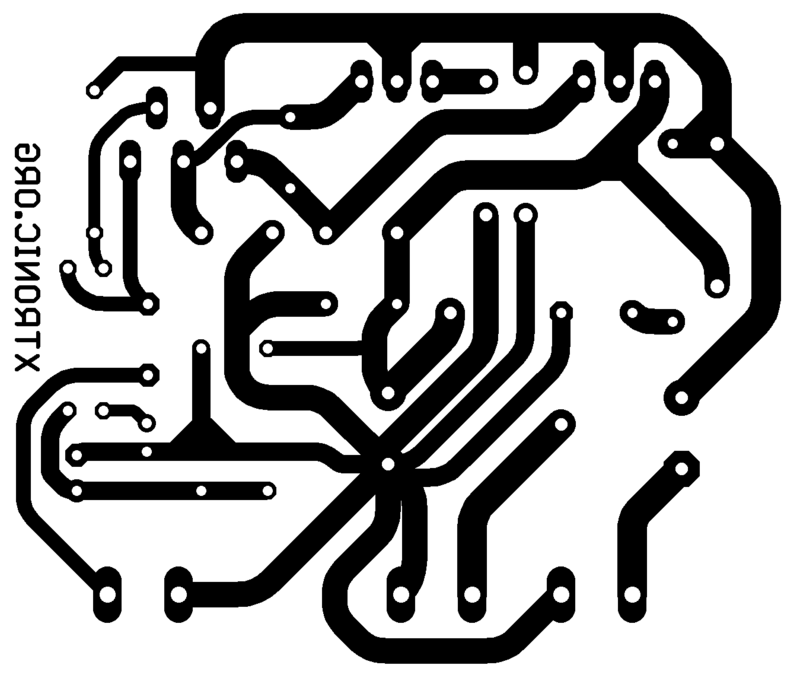 If not isolated, you will be grounding the collectors of the transistors via the heatsink. Hello. 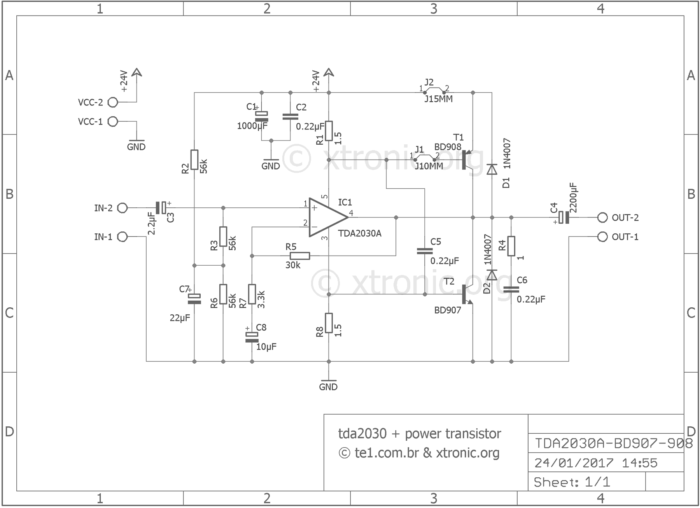 If I use TDA2050 instead of TDA2030, how many watts I take from amplifier? Hello. I want to build this amplifier in stereo. What can I do? Plesa i cant chang replace tip41 with bd907 and replace tip42 with bd908, it that right ?? 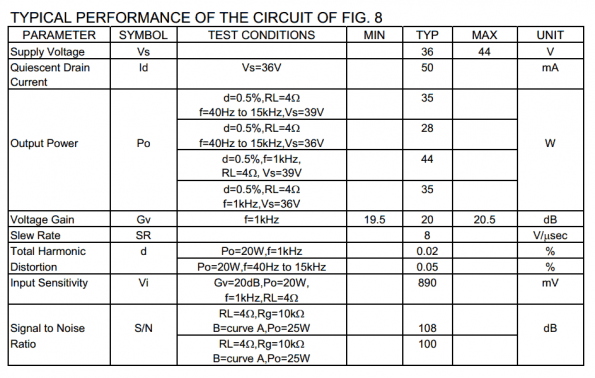 is there any problem if i use 0.22 µF Electrolytic Capacitor instead Capacitor Polyester? Use any one between 100nF and 330nF, ceramic or polyester. You can use the layout of the TDA2030! Thank you for the amp project Toni. 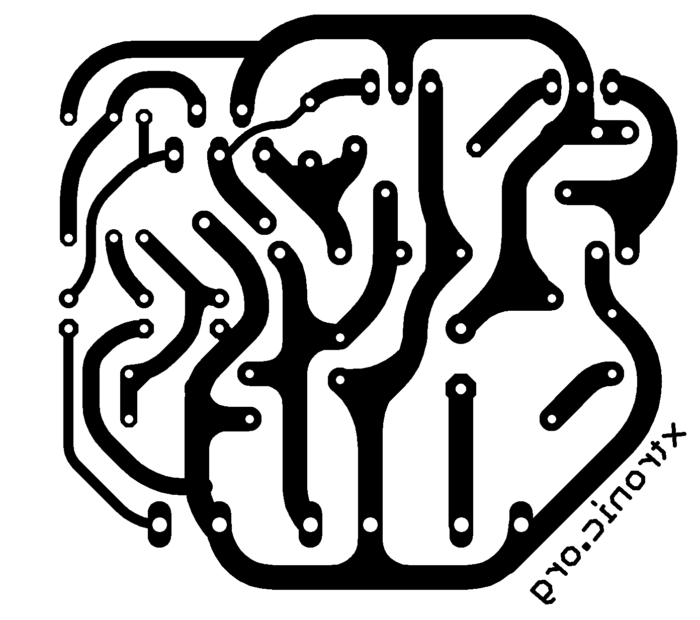 I will also want to ask you about the psu of the project. Do you have one already prepared for the project or I can use an alternative one from other projects ? hi there! 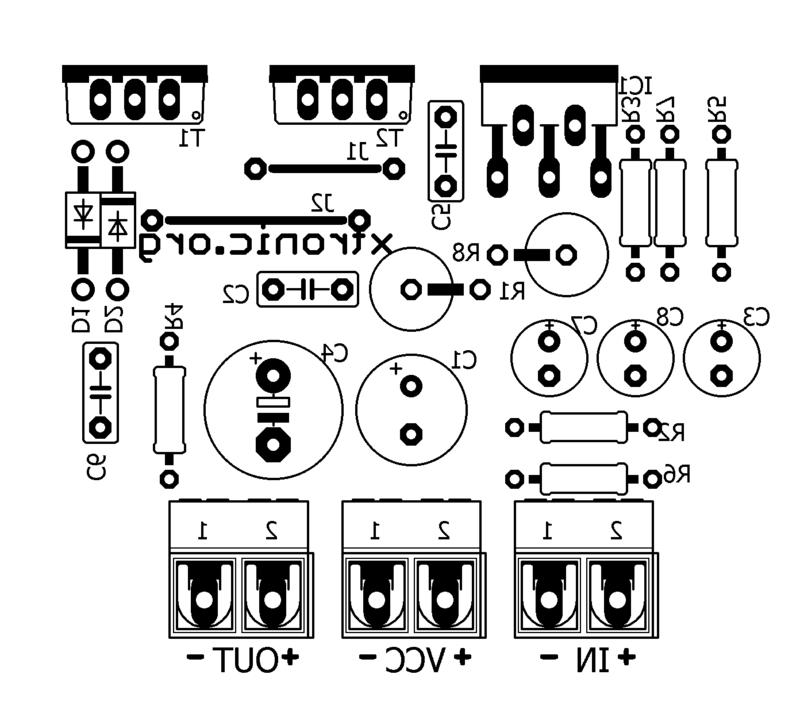 !…what is the purpose of those diodes(1n4007)guys i really need an explanation asap please?.. is the picture rendered in 3D? what software made it? Hi there! has anyone built this one? is it verified? 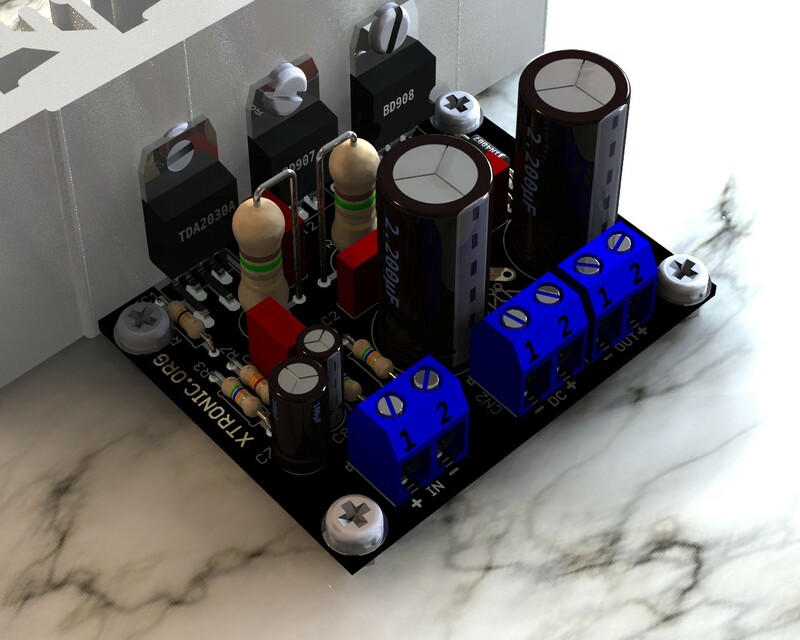 I want to built this, but i need to know if its really a good hifi amp and if it works fine too.